When working with articles in Content Station — for example by editing them in the Multi-Channel Text Editor or by comparing articles in the Publication Channel Overview — you can increase or decrease the size of the text to your needs. Note: This only affects the way the text is displayed in the editor, not the way it is published. The zoom slider is available in the status bar of the Multi-Channel Text Editor when the View > Visual Mode option is enabled. Figure: The Zoom slider (A) — here shown extended — in the status bar at the bottom of the editor. Click the Zoom icon to display the slider. Note: Using this method, zooming is done in increments of 5%. Note: Using this method, zooming is done in the following steps: 25% <-> 50% <-> 75% <-> 100% <-> 150% <-> 200% <-> 300% <-> 400% <-> and 500%. When the View > Visual Mode option is disabled, changing the size of the text in the editor or the Publication Channel Overview is done through the Content Station preferences. Step 1. Access the Content Station Preferences. Mac OS: Choose Content Station > Preferences or press Cmd +. Windows: Choose Edit > Preferences or press Ctrl +. 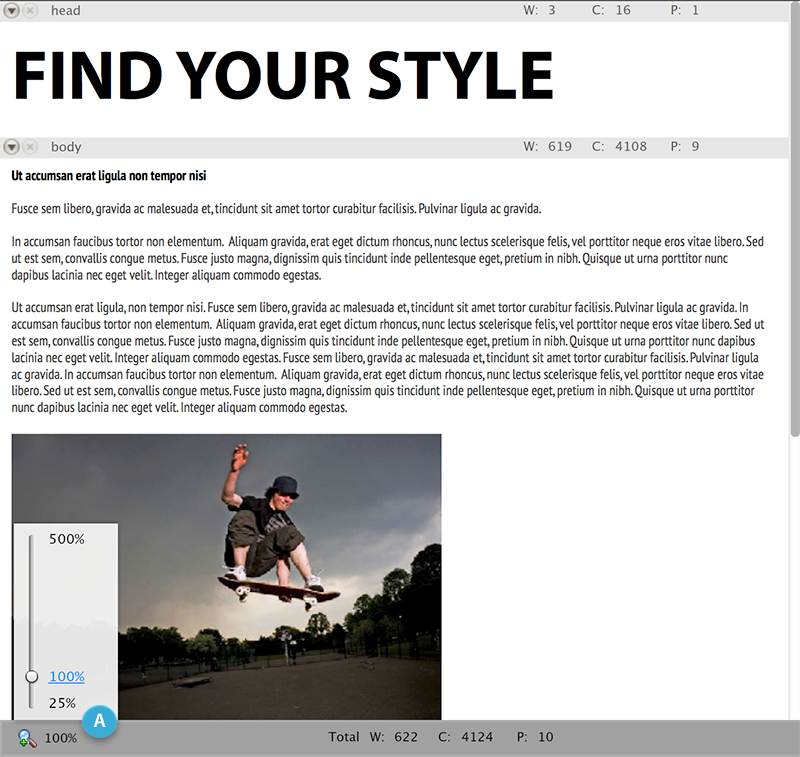 Content Station Web: Choose Edit > Preferences. 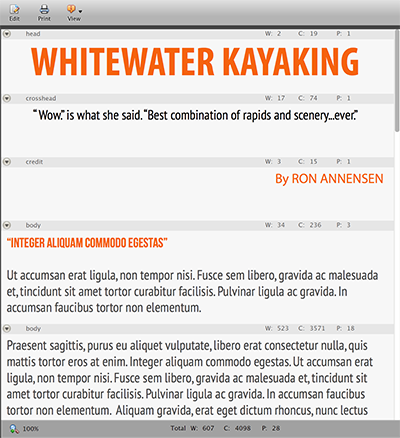 Tip: When making the changes, show an article in the background so that you can preview the final result. Step 2. Set the Editor Font Size and the Editor Line Height as needed. When viewing an article in Visual Mode in the Multi-Channel Text Editor, one other feature affects the way that text is displayed but it is one over which you as a Content Station user have no control. Figure: On the left: an article is shown using unrestricted font size settings. Note the large font size of the header and the small font size of the other components, especially the body text. 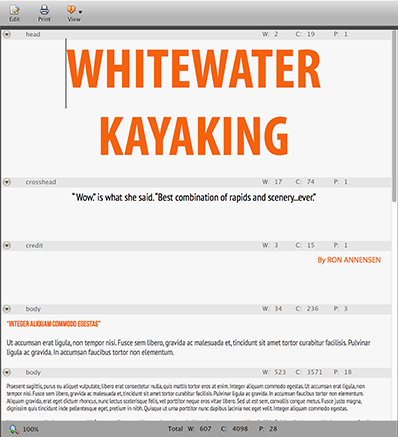 On the right: the same article shown with a minimum font size set to make the body text better readable, and a maximum font size set to limit the amount of space that the header takes up. Even with these adjusted font settings, the user will still get a good impression of how the article will look when published. Your system administrator can set this minimum and maximum font size, or remove all font size restrictions. Note: When in doubt about how the text is displayed, check with your system administrator.